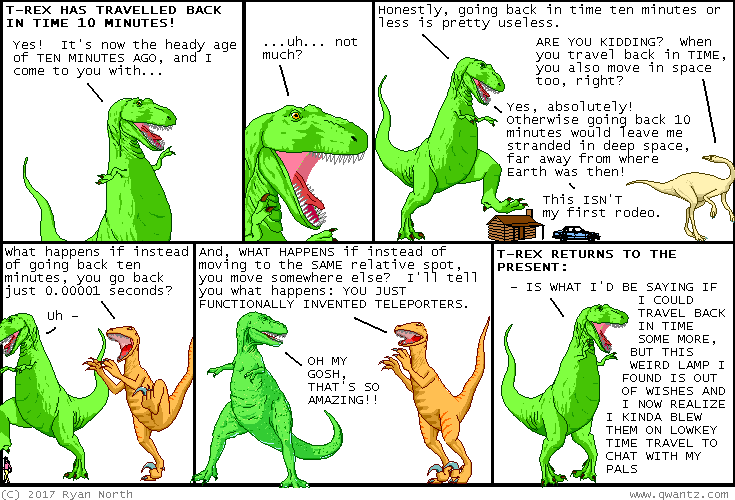 Dinosaur Comics - December 1st, 2017 - awesome fun times! December 1st, 2017: HOLIDAY SHIPPING DEADLINES are coming up! If you want some COOL DINOSAUR COMICS STUFF for you and yours this holiday season, best not be caught sleepin'! !